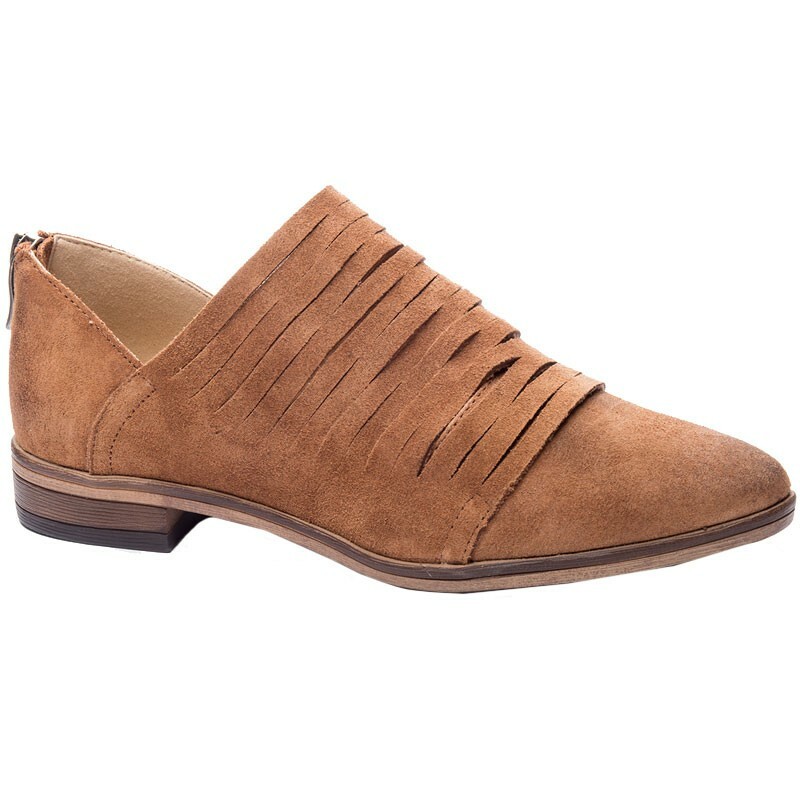 Add some sophistication to your outfits with the Chinese Laundry Danika shootie. This combination between a shoe and a bootie features a soft, suede upper with uniquely designed cutouts across the vamp for a modern touch. The slightly pointed toe adds leg lengthening style, and the back zipper allows for easy on/off. The angled topline and tailored heel add to the chic look of the Chinese Laundry Danika. Very comfortable. Look is quality. Nice height. Flattering with fitted pants. Straps are actually connected at places but you could not tell unless you pulled them apart.